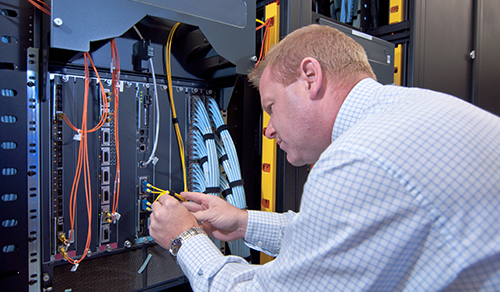 Fiber optic technology makes data transfer and connectivity faster and more efficient, but experts are needed to install and maintain it. If your business wants to benefit from the power of fiber optics, be sure to find the right fiber optics installer. A freelance fiber optics installer is perfect for short-term projects or whenever you want to save money. When you use Field Engineer, you can access a huge pool of fiber optics installers that will carry out all of your essential installations. Why limit yourself to just a few options when you could look for fiber optics installers all over the world? Field Engineer is sure to have people in your area or even those who can travel to your job, thanks to the 40,000 plus engineers available on the site. Your business benefits from a truly global service when you use the platform, so you're not limited on your options. Hiring freelancers for fiber optics installation is ideal. When you have a short-term installation project, you don't need permanent members of staff to carry it out. Field Engineer helps you to find these freelancers with ease. The platform gives you control, from when you first post your job to selecting your freelancer and managing the task. Find the freelance fiber optics installer you need by signing up to the site and discovering the experts out there waiting for you.